EnviroEquine CocoTea Salve has been formulated to combine the natural healing properties of coconut, tea tree, and rosemary oils to combat a variety of hoof and skin ailments and promote healthy hair growth. This soothing formula will never burn or blister the skin, and is safe to use under bandages. Dermatitis, scratches, ringworm, rain rot, dew poisoning, tail scratching, sunburn, itchy/irritated skin, minor scrapes, thrush, white line disease. Encourages healthy hair growth and moisturizes skin. SKIN: Clean the affected area with a mild soap and dry thoroughly. Apply up to three times daily. For persistent or severe dermatitis, a sweat and wrap can be applied over the salve. HOOF: Apply daily to the entire hoof to maintain elasticity and combat infection. For best results, apply before exposure to water to create a protective barrier. For problem areas such as thrush or white line disease, apply directly to the frog or sole up to three times daily. A hoof wrap or boot can be used over the product. A natural antimicrobial and anti-fungal, coconut oil is a natural oil hypothesized to have antibacterial activity by disrupting bacterial and fungal cell membranes. The constituents of coconut oil include the following: saturated fats, capric/caprylic/lauric acid and Vitamin E. The saturated fats are medium chain fatty acids, also known as triglycerides, that help retain moisture levels of the skin by eliminating moisture loss through the pore. Capric/caprylic/lauric acids provide antimicrobial effect by disrupting bacterial, fungal, and viral cell membranes, leading to cell death. Finally, Vitamin E is essential for healthy skin and hair growth, skin repair, and is high in antioxidants. Primary uses of tea tree oil have historically capitalized on the antiseptic and anti-inflammatory actions of the oil. A wealth of in vitro data supports the long-held hypotheses regarding its antimicrobial and anti-inflammatory properties. The terpenes in tea tree oil give this versatile substance antiseptic properties that make it especially powerful for healing wounds and battling infection. Research published in the Journal of Investigative Dermatology in 2006 demonstrated tea tree oil to be effective at fighting the super-bug MRSA, which is a strain of staph bacteria that is resistant to many common antibiotics. For this reason, it’s often used as a natural remedy to prevent infection in small wounds, blisters, and burns. Tea tree oil has also been noted in a medical study performed by the Australian Journal of Dermatology as being an effective treatment for ringworm, curing the fungus after four weeks of treatment in more than 64 percent of test subjects. An added plus-tea tree oil is also a natural insecticide. Contains the following main antioxidants: Rosmarinic acid, Carnosic acid, Ethanolic acid,1,8-Cineole, and Camphor oil. In general terms, these bioactive antioxidants have proven benefits for hair maintenance and growth. 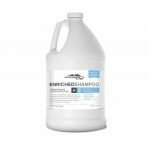 When applied topically, continual use can have the following benefits: reduction in inflammation of the scalp and hair follicles, increase of antibacterial properties, and it can help to increase localized blood flow. Rosemary oil is also a natural insecticide and mosquito repellant. CocoTea is a product you will want in your horse supplies. It is truly a miracle product. We have used it for everything from scratches to improving the quality of my horses’ hooves. I have used it to heal abrasions such as rubs from tack. It seems whatever I put it on looks better faster than most conventional products. Try it. You won’t be disappointed. CocoTea has done wonders for skin issues. 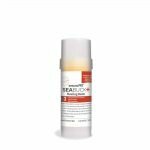 I have used it on my dogs on dry, red, itchy or scabby spots and they stopped scratching right away and the redness subsided immediately. I have also used it on several horses for a variety of issues, such as: dew poisoning, scratches, dry hooves, scurf and scabby hives. They all cleared up quickly. The bad skin sloughs right off the next day. This is my GO-TO product! Fungus and skin issues are a constant battle here in Florida. I put it on my horse’s fungus two days ago, and today all the scabs were gone or flaked right off! IMPRESSED! This stuff is great. This is an absolutely amazing product. It works great on dry, flaky or cracking hoof walls and for battling thrush. I have seen this work wonders on cases of rain rot or scratches that did not respond to other prescribed products. Good for daily hoof treatment or as needed for fungus application. I can’t say enough good things about Cocotea. It provides exceptional soothing and moisturizing relief for my horses’ itchy and inflammed skin. It also smells great and is easy to apply! I love that its highly effective therapeutic effects are achieved with natural ingredients. It is my go to product for any and all skin and hoof issues! I received this in my monthly horse box and WOW I absolutely love it! I use is on the horses, dogs, chickens, myself, w/e it works great on just about anything. Thank you for a great product!